As awareness of the alarming numbers of traffic deaths in the U.S. has spread across the country, so too have events commemorating the International World Day of Remembrance for Road Traffic Victims. Without a doubt, the majority of these tributes are organized by Vision Zero city advocates, and friends and family members who have lost loved ones to traffic crashes, including Families for Safe Streets chapters growing across the country. Mark your calendars and consider participating in local commemoration ceremonies. 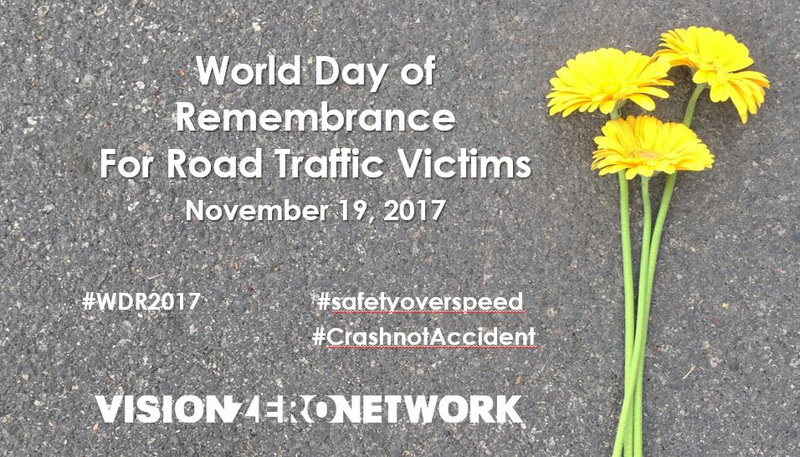 Honor the day with us through social media with #WDR2017, #Crashnotaccident, and #safetyoverspeed.